The car belonging to missing Terrilynn Monette has been found Saturday in Bayou St. John in New Orleans, Louisiana by divers. A body was also found a decomposed body inside the car, believed to be missing 26 year old Terrilynn Monette. As reported by ABC News, John Gagliano, the Orleans Parish coroner’s chief investigator, said he could not immediately tell if the body was a man or a woman. An autopsy will be performed Monday to determine the identity of the body and cause of death. Terrilynn Monette was last seen March 2 leaving Parlay’s Dream Lounge in New Orleans, where she had been celebrating with friends her nomination for a “Teacher of the Year” award. A car with a body inside believed to be that of missing teacher Terrilynn Monette was found Saturday in a bayou in New Orleans, authorities said. The car and body were found in Bayou St. John by a diver with the Slidell Police Department, who volunteered to dive the waterways in the search for Monette, Detective Daniel Seuzeneau of the Slidell Police Department, said. The body is believed to be that of Monette, he said in an e-mail statement to CNN. Missing Louisiana teacher’s car pulled from in bayou; decomposed body discovered inside. 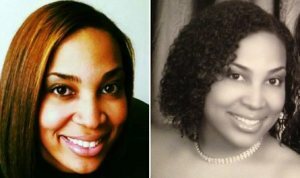 Terrilyn Monette, a Long Beach, Calif., native who moved Louisiana to teach, vanished three months ago. Authorities did not immediately say whether the body in the car was Monette. Monette’s black Honda Accord was pulled from New Orleans’ Bayou St. John on Saturday. WWLTV: Terrilynn Monette’s car pulled from bayou. A body was found inside of the car in the driver’s seat and Representative Austin Badon, who has been championing the search for Monette, said they are “100 percent sure” that the body inside is Monette, but that an autopsy by the coroner would be needed to confirm the fact. “We’re very upset right now,” said Monette’s father Terry. UPDATE I: Autopsy confirms body found in bayou is that of missing Louisiana teacher Terrilynn Monette. Texas Equusearch joins the search for missing Teacher Terrilynn. 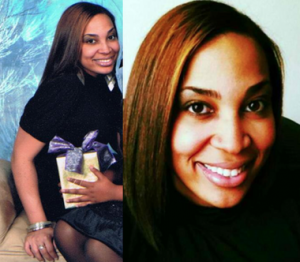 26 year old Terrilynn Monnette has been missing since the early hours of Saturday morning, March 2, 2013 when she was last seen in the parking lot of Parlay’s bar in the 800 block of Harrison Avenue in Lakeview. Monnette was seen on surveillance video with a man. The individuals has since been identified and interviewed by NOPD detectives, police said, and is not considered a suspect. Terrilynn Monnette has not been seen or heard from since she left the bar parking lot in her car. Search efforts for Terrilynn Monnette have come up empty … enter Texas Equusearch. Tim Miller and Texas Equusearch have been announced by the New Orleans Police Department that they will join the search for the missing Terrilyn Monette. Equusearch will arrive Tuesday or Wednesday to help search for the missing 26 year old girl. According to the NOPD, Equusearch will help search through the lagoons of City Park for Monette and her car. The New Orleans Police Department has announced that it will be joined by the search and recovery team Equusearch as early as Tuesday evening (March 12) to assist with the ongoing efforts to find missing schoolteacher Terrilyn Monette. Ten days into the disappearance of the 26-year-old California native, the Houston-based nonprofit is set to arrive no later than Wednesday morning, the organization’s director, Tim Miller, told police. Equusearch will help the NOPD in searching through the lagoons of City Park for Monette and her car. Police have been combing through the park and the vast green space between Parlay’s bar, where Monette was last seen March 2, and her apartment, covering the most likely route for her to get home. Police ask anyone with information on this missing person case, including the location of Monette’s 2012 black two-door Honda Accord, Louisiana license plate WUN494, to contact NOPD at 504.821.2222. For more updates, provide you opinions and analysis, and to read others opinions and analysis, go to Scared Monkeys Missing Persons Forum: Terriyynn Monette. 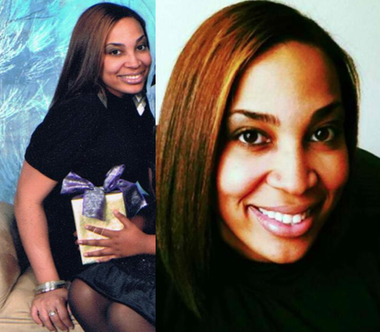 26 year old Terrilynn Monnette has been missing since the early hours of Saturday morning, March 2, 2013. The 26 year old elementary school teacher was last seen with friends on Friday night at a bar, Parlay’s, in the Lakeview section of New Orleans. Employees say she’d just finished a night of heavy drinking with several friends. Then she and a male acquaintance walked out and sat inside her car. According to reports, Monnette left the bar around 4 o’clock Saturday morning with a male acquaintance. The two talked for a while than the bar’s video surveillance showed they left in separate cars and headed off in opposite directions. Terrilynn Monnette has not been seen or heard from since. New Orleans police and family members are frantically searching for an elementary school teacher who has been missing since last Saturday. Twenty-six-year-old Terrilynn Monnette was last seen with friends at a bar in the Lakeview section of the Crescent City last Friday evening. She left the bar around 4 o’clock Saturday morning with a male acquaintance, reported ABC’s New Orleans affiliate WGNO, telling her friends that she was going to take a nap in her car before driving home because she’d had a few drinks. The bar’s general manager told WGNO that the two talked in the parking lot “for a little while,” but the bar’s video surveillance showed they left in separate cars. “He went one way, she went the other,” the bar manager said. An eyewitness has told police that he saw the missing teacher with an unidentified man in the bar’s parking lot, according to information on the missing person’s flyer that Monnette’s family has been distributing. Police detectives are searching for Monnette’s car — a three-door black Louisiana-registered Honda Accord with license plate number WUN494, according to the missing person’s flyer. She’s described as 5-foot-8 inches tall, weighing about 180 pounds. Monnette was last seen, in her 2012 Honda Accord, with license plate number WUN494. UPDATE I: Volunteers search for missing N.O. teacher. On Thursday morning, she and 50 to 60 other volunteers slowly walked through City Park banging sticks in bushes and searching through shrubs, hoping to find some sign of Monette, who has been missing since Saturday. The sheer size of City Park made finding that much-needed clue unlikely, but Enclade was adamant that she still believes that her daughter will return to her safely. A foot search is under way for the missing schoolteacher who was last seen outside of a Lakeview bar early Saturday morning. Friends, family and co-workers of 26-year-old Terrilynn Monette gathered at Parlay’s bar in the 800 block of Harrison Avenue at 7:30 a.m. Thursday (March 7) to help look for the missing California native. The group, which at 9 a.m. consisted of several dozen people, including concerned citizens who had never met Monette, gathered in the parking lot across the street from the bar and mapped out a search grid on an easel. For more updated, provide your opinion and analysis and read others opinions, go to Scared Monkeys Missing Persons Forum: Terrilynn Monnette.